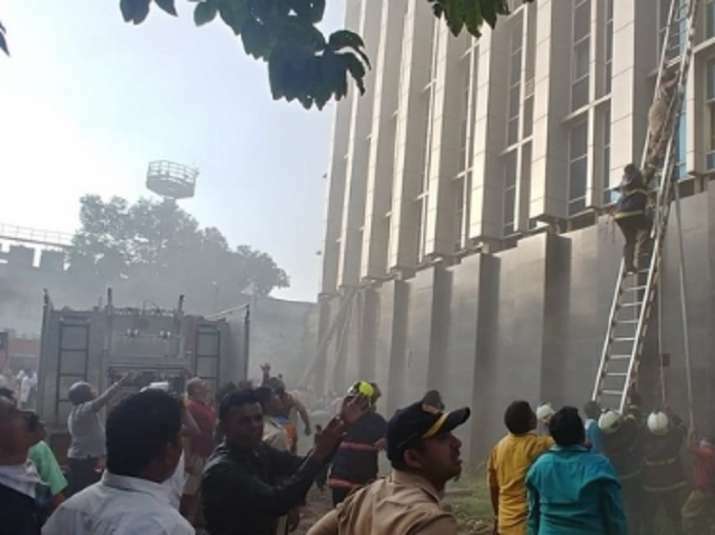 A portion of the Chhattisgarh Institute of Medical Sciences (CIMS) caught fire on Tuesday, officials said, adding three employees fainted due to smoke inhalation. Following the blaze, 40 children undergoing treatment in the paediatric ward of the hospital were also shifted elsewhere. The fire was caused due to a short circuit, officials said.